Did you know that most modern automobiles have transmissions that are controlled by computers? 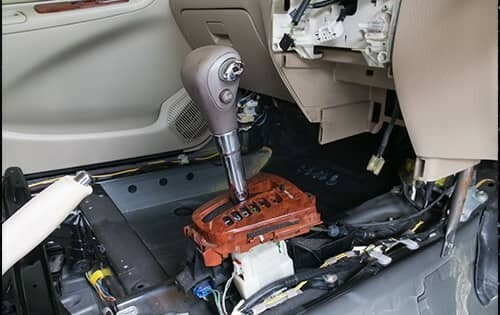 You need a transmission expert like Bob Sight Independence Kia to correctly diagnose any transmission repair you need, as well as to fix your manual or automatic transmission to restore it to optimal running condition. Common transmission repairs include​ replacing the transmission fluid​ or oil, inspecting the fluid to ensure it is clean – and if not, completing a transmission fluid flush or transmission oil change. When necessary, we complete​ transmission rebuilds​ using OEM transmission parts for the best performance. Rebuilt transmissions and remanufactured transmissions can help minimize your cost, and remanufactured transmissions often carry a warranty (see your service tech for full details). We also handle simple repairs such as replacing a transmission filter. Our goal is to provide the best value​ transmission service​ to put your vehicle back on the road in its best running condition.